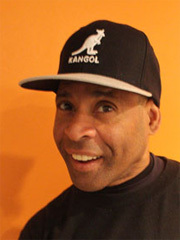 Alex is an old school Dance Legend and is well known by every Hip Hop dancer around the world. Specializing in Popping and Locking with full 70s and 80s style costume he has rocked many parties with his kinetic energy! Around the time that breakdance was in its'evolution in Puerto Rico, there were a few popular groups: Ultimate Dancers/Disco Kid Dancers and The Sensational Breakdancers. At this time, Kid Dynamo,the one and only, Master and Legend in the Locking n Popping n Grooving Funkstyle, came to Puerto Rico in the late 70's and started to appear in various great TV shows there included: Nydia Caro Show, Show Del Mediodia, Luis Vigoreaux Presenta, Iris Chacon Show and was always a participant in the local Jerry Lewis Telethon were he performed every year. He also appeared in various TV ads including for: Hershey's Chocolate bar, Coca Cola and 7UP commercials. 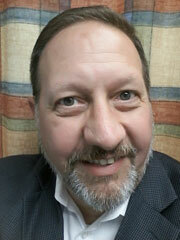 Michael has been caring for and treating cancer patients for nearly 30 years. Starting as a Radiation Therapist he has had progressive roles in Oncology and now servers as System Director of Radiation Oncology for WellStar Health System. In addition to his professional career, Michael has served on several charitable, organization boards, chaired fundraising activities, was an ambassador for The American Cancer Society and run several marathons to raise money and awareness for cancer and cancer patients. Michael lives in Kennesaw with his beautiful wife Laida (Lie-da) and their two children Mika, (me-Ka`) and Mikko, (me-Koh). He also has two grown sons Michael II and Matt who are serving in the U.S. Army and four grandchildren Logan, Shiloh, Jasper and Mia.